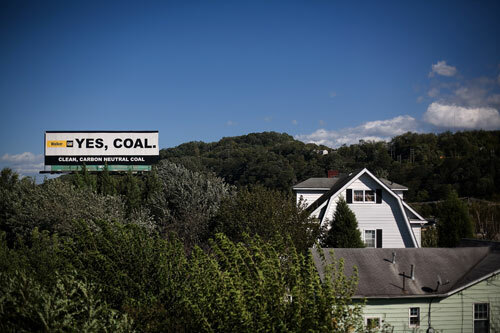 "THE HUMAN TOLL: MOUNTAINTOP REMOVAL MINING"
A large billboard in support of coal sits amid homes along the highway in Charleston, West Virginia. For hundreds of years, coal has economically sustained the coalfield communities across this state and the rest of Appalachia. But in recent years, it has become extremely controversial due to the practice of mountaintop removal coal mining.